An ETP (Employment Termination Pay) can have many different lines in it depending on what has accrued and is owed. Hint: The latest payslip for the employee shows the balance of accumulated entitlements. The Payroll Officer in your business needs to identify what pay items need to be included in the last pay, based on your legal obligations/contract with the employee so they can work out which Pay Items to include in the final pay. There are a number of inbuilt Pay Items to be used to account for Lump Sum Payments. You should use these inbuilt pay items to ensure that these are reflected correctly on Single Touch Payroll. With the introduction of Single Touch Payroll (STP) by the ATO as of 01/07/2018, the steps for entering an ETP as a payroll entry will depend on a number of factors. Note: The below example is for illustrative purposes only and your particular situation may differ. During the Payment Summary mapping exercise you will be able set pay items to either be included or not included in the Gross Payments value. Also you will be able to map to a Lump Sum field should there be the need. NOTE: If you are hesitant about any of this we strongly advise that you speak with your Accountant or advisor for further advice as to what to include in the ETP entry. What happens if there is more than one ETP code applicable? Where an employee receives more than one ETP payment and type, each combination of ETP payment date and code needs to be recorded via a separate payroll entry. 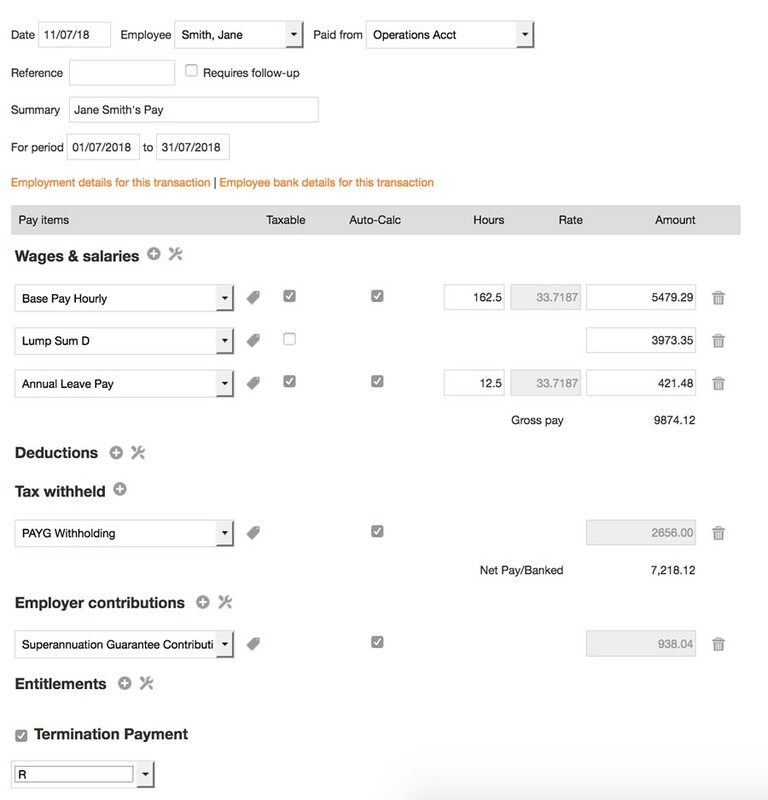 You would then need to submit each of these payroll entries, that quote the ETP different code, separately as regular pay events before then submitting the finalisation event to the ATO.